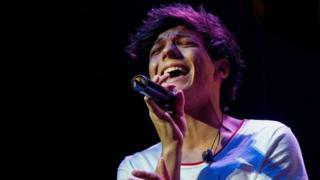 One Direction's Louis Tomlinson to make Doncaster debut. 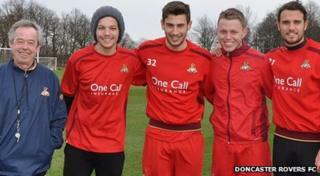 One Direction's Louis Tomlinson is set to make his Doncaster reserves debut. The popstar will join Doncaster Rovers' reserve team in their South Yorkshire derby against Rotherham United at the Keepmoat Stadium. Kick off for the Final Third Development League fixture is 7pm on February 26. Local-lad Louis, who was born in Bessacarr, is set make an appearance at some stage during the match. But it's not known if he will play a full game. Gavin Baldwin, Chief Executive of Doncaster Rovers, said: "We are pleased to now have a date for Louis' debut and are looking forward to seeing him against our South Yorkshire neighbours." "We are expecting huge interest in this game with fans from all over the world set to visit the Keepmoat Stadium for this unique occasion. He added: "I'm sure Louis will be delighted to step on to the hallowed turf and officially become a Doncaster Rovers player for the first time."